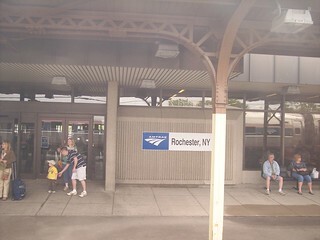 The old Rochester station sign still hangs on the remains of the old canopy on the one platform that is still used in Rochester. 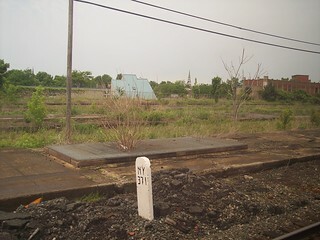 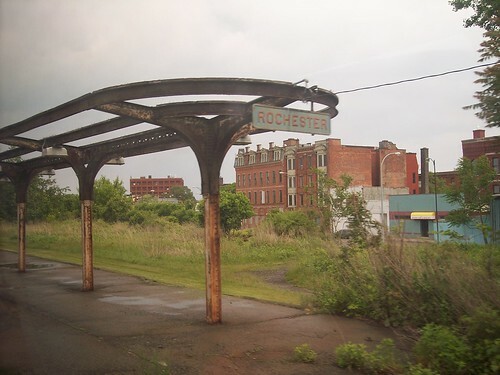 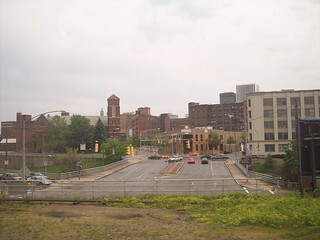 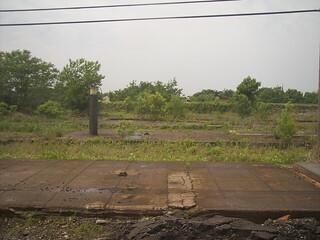 At one time Rochester had many platforms and it appears an underground passage for access, but now all but one have been abandoned. 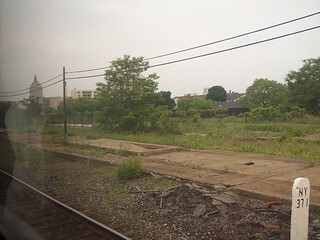 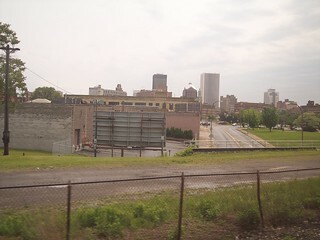 Views of the city from each side of the station. 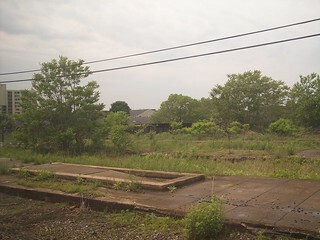 The current station building and platform.